I've started a C++ column in Visual Studio Magazine. I'm sure you've read plenty of C++ columns in your time - I sure have! I wanted this one to be a little different. So, here's what I've decided to do. 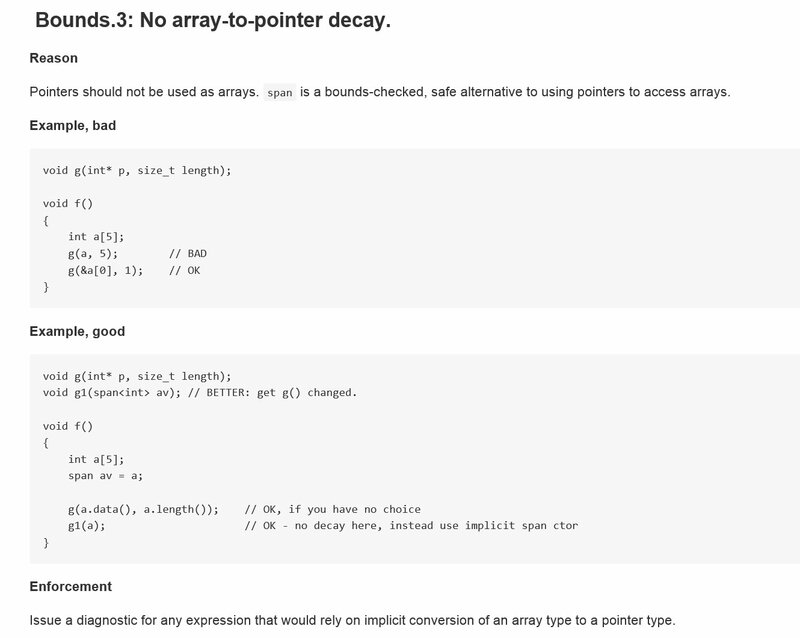 For each column, I choose a guidelines from the C++ Core Guidelines, and then explain it. But the twist is that I'm not going through the guidelines from top to bottom - I'm picking guidelines whose explanations require a little language knowledge. The first column just sets the stage and explains what I'm doing, and gives you a link to the Guidelines. The second, Don't Cast Away Const, explains the guideline, but also the consequences of const-correctness, a typical situation where you might find it hard to stay const-correct when you make a performance tweak to a running system, and the correct use of the mutable keyword. Not bad for explaining a four-word guideline! I have a number of columns already written and plans to write more. Please check them out and spread the word! My latest Pluralsight course is live! It's called First Look: C++ Core Guidelines and the Guideline Support Library and it introduces the guidelines and why you might want to use them, as well as some preliminary tool support. As always, if you need a free trial, use the link in the sidebar on the right. Pluralsight courses now have trailers. This is my first course with one and it turned out a lot better than I expected. You don't need a subscription to watch the trailer - just go to the course page, and over on the right side there are these downward pointing triangles next to time lengths. Click the one for Course Overview which is 1m 49s, and you'll see one entry under it that also says Course Overview 1m 49s. Click that and the player will open and play the trailer. I did the voice recording, and some Pluralsight elves put together visuals (some are excerpts from demos) around it. I like it! Let me know what you think. I’ve been hearing that the new search and browse functionality on Pluralsight isn’t working for everyone, and that the sheer volume of courses makes some hard to find. So I thought I’d make a list of my current courses in the hope of simplifying things for those who want to learn something specific. This is the most recent Visual Studio course and it starts at the beginning and goes well past what most people know about Visual Studio. I’m confident that even if you use Visual Studio every day, you’ll learn something in this course that will make you more productive. This course was based on the preview, but works well against the RTM version of Visual Studio 2015. It’s C++-focused and just shows you what’s new compared to Visual Studio 2013. Most developers find StackOverflow results whenever they do a web search for a particular error message, or some API they’re having trouble using. Many of them tell me that when they try to sign up and actually ask and answer questions, they have an unpleasant experience. Often, it’s because their mental model of the site does not match the way it actually works. This course will show you how it works, so you can get the answers you need and not feel rejected or hurt by the way these sites work. This course is aimed at people who have never programmed before. If you’ve programmed, in any language, consider C++ Fundamentals instead. If you don’t believe anyone can learn C++ as a first language, I’m ready to argue with you. Modern C++ is a simple and useful language that a beginner can learn and use well. These courses were written in 2011 but hold up well. Here is where you’ll learn the basic syntax of the language and how everything works, including templates, pointers, lambdas, and exceptions. Watch both parts to learn the whole language, then dive into C++ Advanced Topics to round out your C++ knowledge. 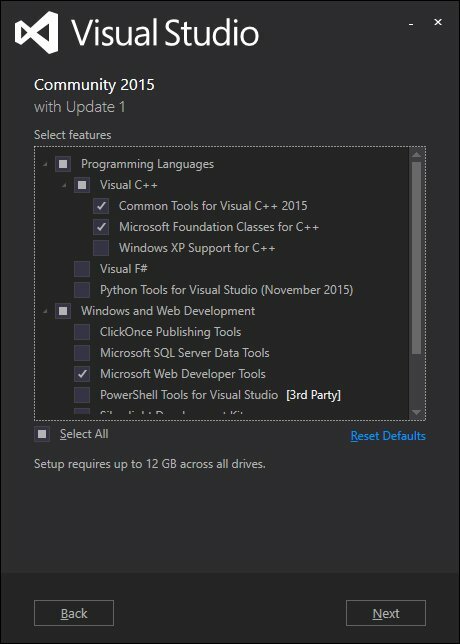 I have other courses – on older versions of Visual Studio, for example, but these are the “big” ones for me at the moment. I hope this list helps you to find them. And remember, if you need a free trial, use this link. Click Subscribe, then Start 10-Day Trial, and you’ll be all set. Our longest-serving employee, Joyce MacDonald, has worked her last day with us. She’s moving away to the other side of the country, where I don’t doubt another firm will soon find themselves blessed with her skills. Joyce joined us full time 16 years (and one month) ago, and had been working part time for us long before that. From the very beginning, every task that she took on she transformed and improved. We needed data entry when we were building a website for a local real estate firm; she took the procedure for adding a listing and kept streamlining it – open these three files at once, copy this once, then paste it here, here, and here – until she had cut the target time in half and then in half again. Later, she helped to develop our Quality Procedures and to bring order to chaos in our software development process as we moved to agile and changed our client mix. She helped our developers to become more organized, to report progress more thoroughly, and to test before committing or deploying. She trained our clients to think about what they really needed and to consider the consequences of what they were asking for. I have never met anyone who cared as much about the success of the firm as Joyce. We’ve employed dozens of people who’ve done good work, worked hard, and cared about our clients. The majority of them, like the majority of people everywhere, never gave much thought to whether the company was doing well, except perhaps to wonder or worry if their job was safe, or if there would be money to spend on perks. I’m not complaining; I think that’s perfectly normal. Joyce is wired differently: it’s fundamentally important to her that things are done right, that the client gets what they want, and that the company makes a profit. That’s what just has to happen, and it’s generally what she’s able to make happen. Joyce started doing data entry and office administration but quickly moved into more complicated tasks. She’s been managing projects and client interactions for a long time. She also made sure that people did what they were supposed to do when they were supposed to do it, and kept everyone informed and contented. If you’ve ever called our office, you’ve probably talked to her. She’s probably reassured you about something and made sure it got taken care of for you. She has her PMP now, which formally recognizes how well she manages projects, gets requirements out of customers and organized in a way we can all understand, and builds appropriate processes for developers to follow. She’s taken on the challenge of managing not just seasoned, well-behaved, adult developers, but also students and our own grown children, who are not always easy to control. Let’s just say they meet their deadlines for her . Losing Joyce to the west coast hasn’t been a total surprise for us. When we came back from the epic Pacific trip, she got the opportunity to move and though she delayed it, we rather knew it was inevitable. Over the past 6 months or so we’ve adjusted the balance of work we take on so that our remaining clients will be those I can handle client support for, and whose projects I can manage. (Brian will continue to be an architect, developer, and star debugger who doesn’t have to talk to the clients.) For our clients, nothing much will change. For us, there will be a hole in our lives – personally and professionally – that will take a while to settle down. When she joined us, Joyce was a neighbor (I believe we first met in the summer of 92), and for a long time she walked or rode her bike to work in the office attached to our house. Our kids have grown up together. When stuff happens, Joyce is the one we talk it through with – business and not-business. We were able to go to the other side of the world for five weeks, often with no internet, knowing the company would tick along fine without us. It’s going to be an adjustment not having her with us every day, not having her to count on. Still, we know why she’s moving, and we wish her all the best in this new phase of her life. PS: If you’ve found this entry as part of due diligence in a hiring process, let me be clear: Hire Her. You won’t regret it. MSDN Subscriber? Enjoy your free Pluralsight courses! And yes, my latest course, Visual Studio 2015: Essentials to the Power-User is one of the ones you'll get access to. So go, check it out! My Visual Studio 2015 course is live! My main goal in this course was to have Visual Studio make sense to the learner. There are so many ways to do any action that sometimes when you learn something it seems pointless, and you quickly get tired of learning an endless parade of similar features. I worked hard to put these into an order that would lead naturally through the capabilities of the tool, and put things in context. If you watch all 12 modules, you'll know more Visual Studio than most developers - and you'll have a productivity boost to show for it that should be pretty impressive! Please do give it a try. I have actually tried not to use Stack Exchange and stick to other sites. I had several bad experiences and have not gained any reputation at all on any questions that I asked. I have even deleted questions due to downvotes or other negative activity. Well after watching this, I understand the problems that I have had in the past. I really enjoyed hearing this and knowing the mechanics of how this works [...] I now know more about it to help me find the answers that I need when I am head scratching my way through coding. When I first started reading I was thinking "here's a comment about how StackExchange is horrible and why have a course on it" - something I hear from some of my friends. But then it took a sharp right turn to the exact reason why I wrote the course. I mean this is exactly the persona I had in mind - someone who needs answers, but because of not knowing the way the sites work, not only isn't getting them, but is having an unpleasant experience and ends up avoiding the sites.